I love ribs and am not alone. In the states I had all sorts of tools to do a great job cooking them to perfection. But I've struggled here. My toolkit is limited, unlike some of the restaruants who have the big barrel smokers and cheap labor keeping the coals stoked just right. 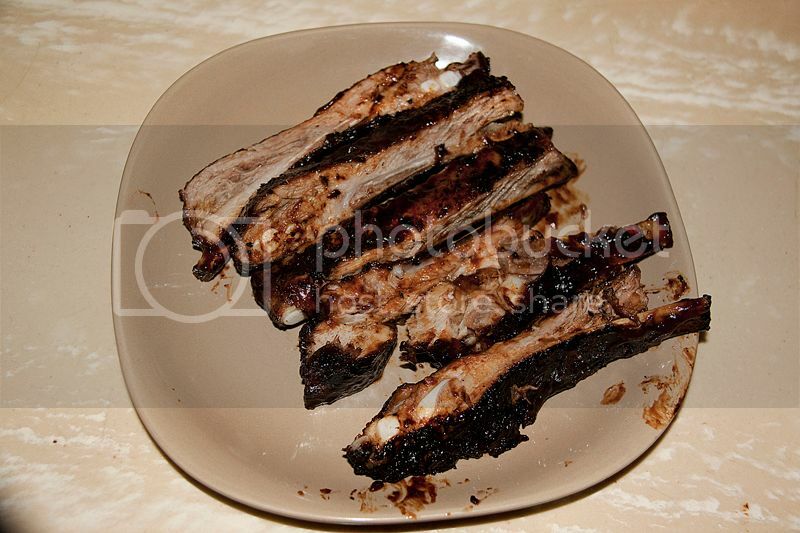 But even the best of Dominican ribs just don't hit the spot like the ones from home. We got a hankerin' for ribs recently. So a friend suggested I try his recipe since it doesn't need a lot of tools and the results are supposedly great. 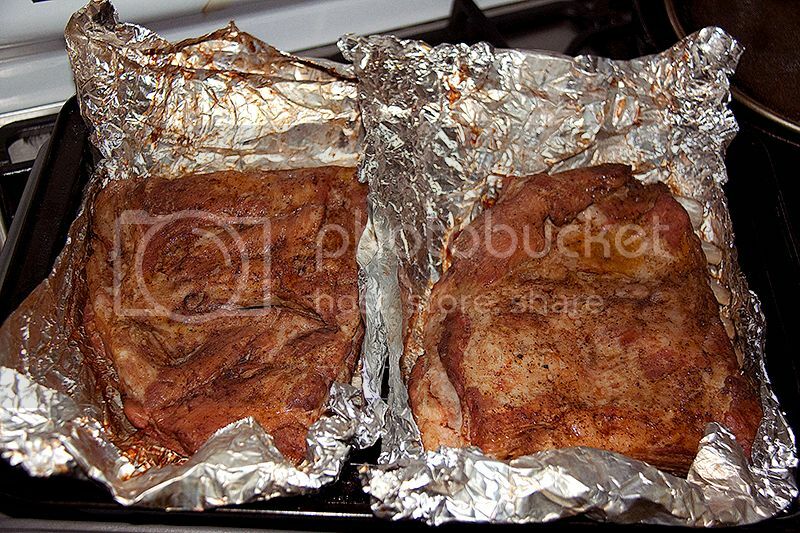 The results were fantastic, and they didn't need hours on a smoldering grill. The meat just fell off the bones and they weren't mushy and wet. There is a slight smoky crust. This recipe is a keeper...until something better comes along. 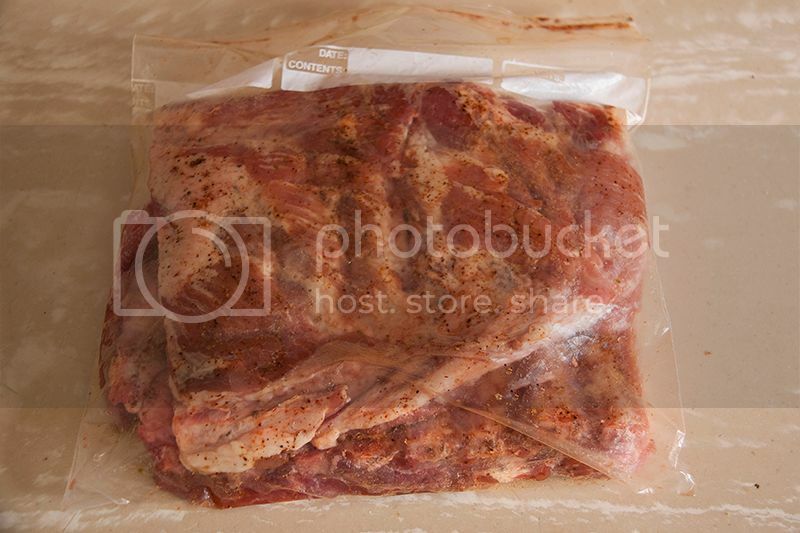 So what's YOUR easy rib recipe? At La National we bought some Jim Beam Spicey Bourbon Sause, its comparable to the Jack Daniels sauce. 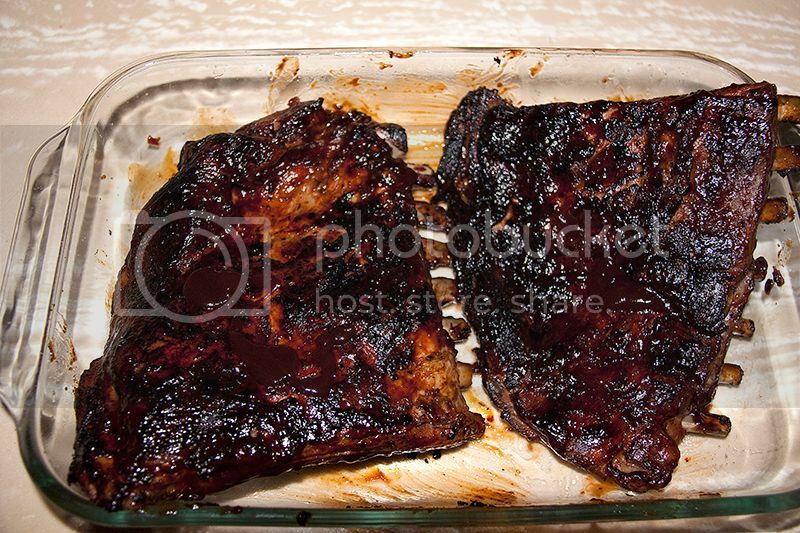 Lets give it a try, you cook the ribs and we bring the sauce. Our usual recipe : the ribs are cooked in boiling water with the necessary vegetable stock, then in the mean time you make a salsa of ketchup, honey, soy sauce, Dijon mustard, cayenne pepper and if you really like it spicey some fresh chili's. 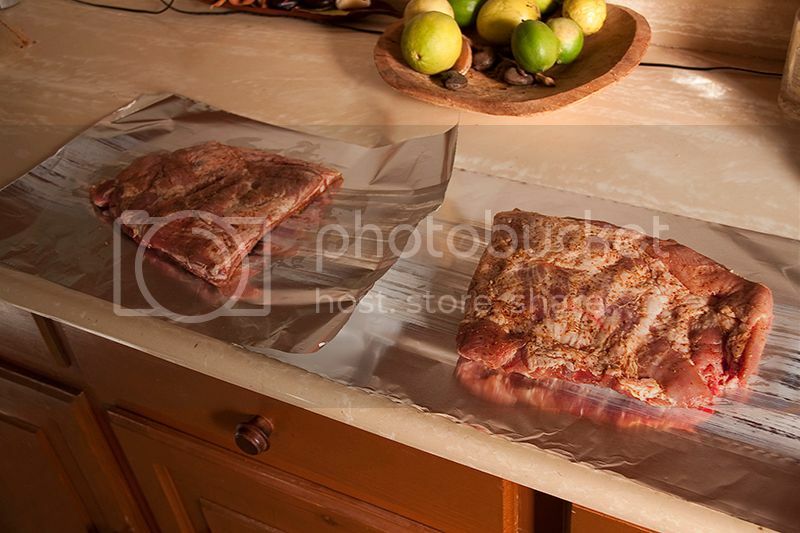 After cooking the ribs, throw them warm in a plastic bag with half of the salsa, let them marinate for a couple of hours, put them on an oven tray together with the marinade and put them in the oven for about half an hour covered with alu foil. After half an hour take them out, put the rest of the salsa on them and put them under the grill for about 10 minutes. I'm learning the art of brining. I've had some chicken legs marinating in a brine/apple juice solution for 4 hours. They'll get plopped on the grill in a while. Immersing meat in semi-salty water for a lengthy time. 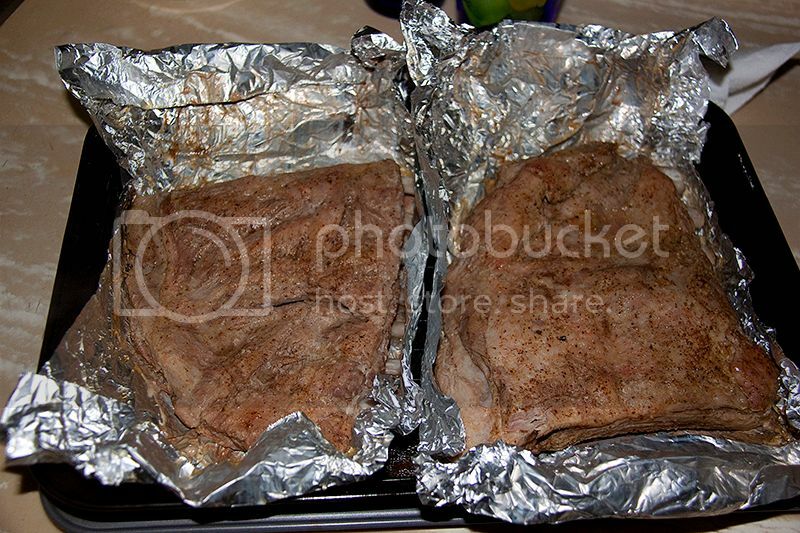 It adds flavor and tenderness but MUSTY be done correctly or you end with salty meat. Ok, thats risky business indeed, in Europe they do it in a bed of salt and I ate it a few times, meat and fish, very tender meat, not salty at all IF its done correctly. 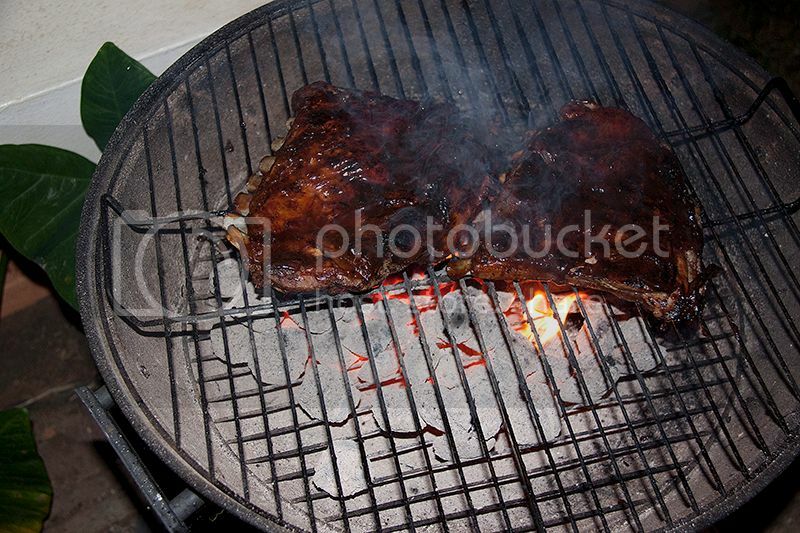 In my opinion, par boiling, cooking the meat in water prior to grilling, cooks all the flavor out of the meat. 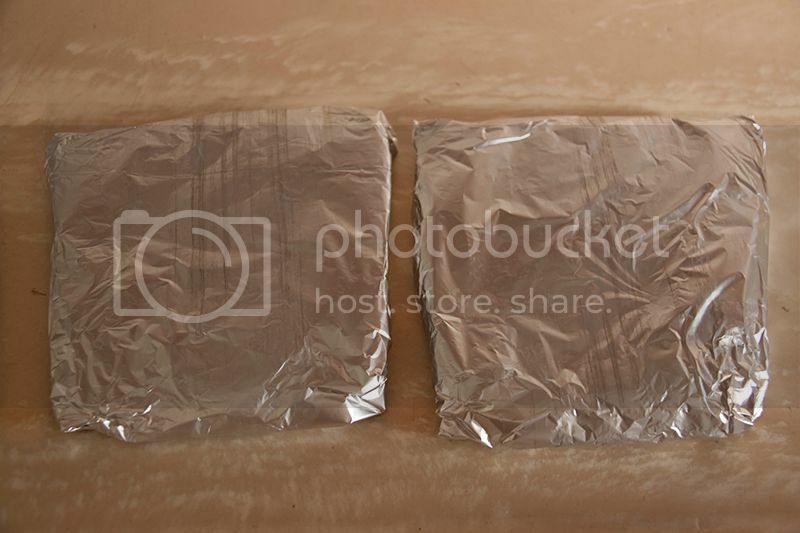 You are better to put it in the oven well-seasoned for an hour and a half at 275- 300 degrees fahrenheit. Then you have the flavor and tenderness. 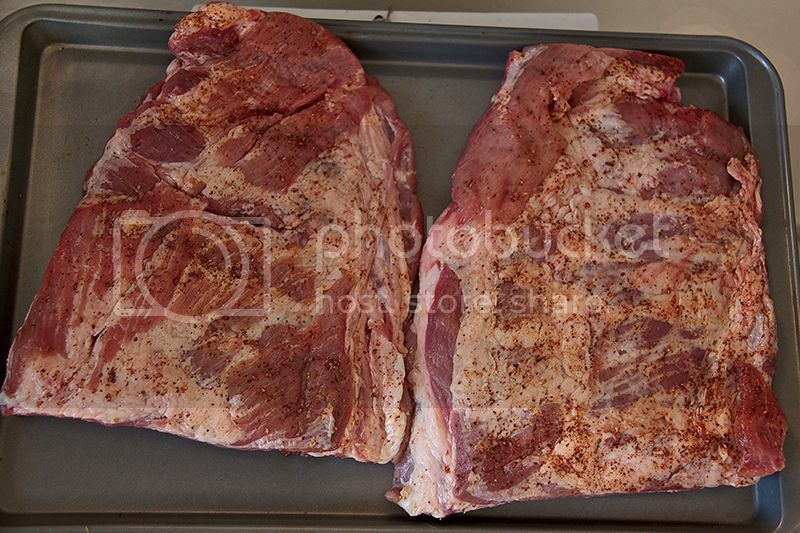 After that, throw it on the grill with your favorite spices and seasoning and sauce. Brining is also wonderful. Takes a bit more time, though. P.S Where is Mike, the official dr1 master cook? I do it the described oven way too, Lindsey.